A submitted composition must be a unique commitment not already distributed (aside from as a conceptual or a preparatory report), must not be under thought for production somewhere else, and, if acknowledged, must not be distributed somewhere else in comparable structure, in any dialect. Every individual recorded as a creator is relied upon to have taken an interest in the study to a noteworthy degree. In spite of the fact that the editors and arbitrators try to guarantee the legitimacy of distributed original copies, the last duty rests with the Authors, not with the Journal, its editors, or the distributer. Conclusions: Provide a general interpretation of the results with any important recommendations for future research. [For a clinical trial provide any trial identification numbers and names (e.g. trial registration number, protocol number or acronym). The results section should include all relevant positive and negative findings. The section may be divided into subsections, each with a concise subheading. Large datasets, including raw data, should be submitted as supporting files; these are published online alongside the accepted article. The results section should be written in past tense. As outlined in the Uniform requirements, authors that present statistical data in the Results section should "...specify the statistical methods used to analyse them. Restrict tables and figures to those needed to explain the argument of the paper and to assess its support. Use graphs as an alternative to tables with many entries; do not duplicate data in graphs and tables. Avoid nontechnical uses of technical terms in statistics, such as "random" (which implies a randomizing device), "normal," "significant," "correlations," and "sample." Define statistical terms, abbreviations, and most symbols." 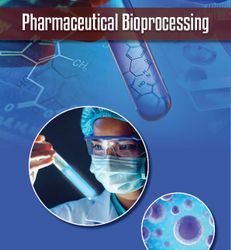 Pharmaceutical Bioprocessing is self-financed and does not receive funding from any institution/government. Hence, the Journals operate solely through processing charges we receive from the authors and some academic/corporate sponsors. The handling fee is required to meet its maintenance. Being an Open Access Journal Group, journals do not collect subscription charges from readers that enjoy free online access to the articles. Authors are hence required to pay a fair handling fee for processing their articles. However, there are no submission charges. Authors are required to make payment only after their manuscript has been accepted for publication.